Readers have been dreading the rise of e-books since before the technology even existed. A 1991 New York Times piece predicting the imminent invention of the personal e-reader spurred angry and impassioned letters to the editor. One reader wrote in to express his worry that the new electronic books wouldn’t work in the bath. Twenty-three years later, half of American adults own an e-reading device. A few years ago, Obama set a goal of getting e-textbooks into every classroom by 2017. Florida lawmakers have passed legislation requiring public schools to convert their textbooks to digital versions. Despite the embrace of e-books in certain contexts, they remain controversial. Many people just don’t like them: They run out of battery, they hurt your eyes, they don’t work in the bath. After years of growth, sales are stagnating. In 2014, 65 percent of 6 to 17-year-old children said they would always want to read books in print—up from 60 percent two years earlier. Historian Romila Thapar asked a full house of Delhi’s intelligentsia on Sunday why changes in syllabi and objections to books were not being challenged. “There are more academics in existence than ever before but most prefer not to confront authority even if it debars the path of free thinking. Is this because they wish to pursue knowledge undisturbed or because they are ready to discard knowledge, should authority require them to do so,” the eminent historian asked. Anyone who frequents research libraries in Europe or North America will know that it is not unusual to encounter in them individuals who appear to be rather introverted and yet sport oddly ostentatious hairstyles, with unkempt shocks of hair sprouting with peculiar abandon from their pallid male scalps. You can still encounter the odd Yeatsian dandy, but the slightly disheveled Einsteinian archetype seems largely to have prevailed in the academy, just as the Beethovenian archetype has long prevailed in the world of music. This phenomenon alone, the slightly embarrassing aping of the superficial attributes of genius, reveals an ersatz quality to the idea of genius we have inherited; even in the most solemn temples to intellectual achievement the notion is awkwardly associated with a good deal that is theatrical, preposterous, ridiculous. Darrin McMahon’s Divine Fury does not shy away from the preposterous and the ridiculous, or from the disturbing and dangerous. Many of us now use the term “genius” as a simple expression of wonder, referring to a person or an achievement that we find inexplicably brilliant. But as McMahon’s rich narrative shows, across its long history the term has accrued connotations that go far beyond this commonsense core, leading us into the realms of superstition, bad science, and subservience to questionable forms of authority. And yet his book ends on an unexpected note of regret that “genius” in the most extravagant sense of the term has given way to more trivial uses, to a culture in which everyone has a genius for something and where even infants might be “baby Einsteins.” The cult of the “great exception,” the unfathomably and inimitably great human being, he tells us, has justifiably waned. Nevertheless, McMahon’s closing words are elegiac, hinting that its loss might somehow diminish us. Somewhat related: A history of Britain through time. Origin: Italy, N. (Venice).Provenance:Owned by the Church of San Francesco della Vigna, Venice.Acquired by Robert Curzon from a priest of the Church of San Francesco della Vigna, along with Add MS 39614 and Add MS 39615, in 1834: ownership inscription, Add MS 39614, f i recto. This note also records five more volumes of the same set as in the possession of the Rev. Walter Sneyd of Denton, Oxford (afterwards of Keele Hall), whose library was sold at Sotheby’s in December 1903: see lots 48, 52, 379, 380. Add MSS 39583-39671, along with Oriental MSS 8729-8855, were bequeathed to the British Museum by Darea Curzon, Baroness Zouche (d. 1917), having been part of the collection formed at Parham, Co. Sussex, by the Hon. Robert Curzon, afterwards 14th Baron Zouche, as the result of his travels in the Levant, etc., in 1833 and later. A copy of Robert Curzon’s Catalogue of Materials for Writing, … Rolls and other Manuscripts and Oriental Manuscript Books (1849), with manuscript additions, accompanied the gift, and is now Add MS 64098. Are you a HYPSter? That’s William Deresiewicz’s term, in his new book, for Harvard, Yale, Princeton and Stanford, though it seems more idiomatic to apply that acronym to these schools’ graduates. With HYPSters, and with the recent graduates of the tier of elite American colleges a rung or two below them, he is unimpressed. Books like this one, volumes that probe the sick soul of American higher education, come and go, more than a few of them hitting the long tail of the best-seller lists. As a class of books, they’re almost permanently interesting, at least if you work in or around education, or if you, like me, have kids who are starting to freak out about their SATs. Confessions of wrongness in academic research should be unsurprising. (To be clear, being wrong in a prediction is different from making an error. Error, even if committed unknowingly, suggests sloppiness. That carries a more serious stigma than making a prediction that fails to come true.) Anyone who has a passing familiarity with the social sciences is aware that, by and large, we do not get an awful lot of things right. Unlike that of most physical and natural scientists, the ability of social scientists to conduct experiments or rely on high-quality data is often limited. In my field, international relations, even the most robust econometric analyses often explain a pathetically small amount of the data’s statistical variance. Indeed, from my first exposure to the philosopher of mathematics Imre Lakatos, I was taught that the goal of social science is falsification. By proving an existing theory wrong, we refine our understanding of what our models can and cannot explain. And yet, the falsification enterprise is generally devoted to proving why other scholars are wrong. It’s rare for academics to publicly disavow their own theories and hypotheses. Indeed, a common lament in the social sciences is that negative findings—i.e., empirical tests that fail to support an author’s initial hypothesis—are never published. Ben Wei was already paying hefty tuition to earn a sociology degree from Bowdoin College, which charged nearly $57,000 at the time, but worried his classes weren’t teaching him skills he needed in the workplace. So he gave up his winter break just a semester before graduating and paid another $3,000 to take a three-week business boot camp designed to teach him how to work a full-time job. The course, offered by a company called Fullbridge, covered problem-solving, collaboration and communication—the kinds of skills employers say they want but aren’t getting from college grads. American students have yet to embrace digital textbooks in considerable numbers. Many of the top universities and colleges have a very slim minority that either use them exclusively or in parallel with print. A recent survey by Hewlett Packard illiminates the role digital is playing in the classroom. HP conducted a survey last winter, talking to 527 students at San Jose State. 57% of the respondents said they prefer the standard textbook. A paltry 21% said they prefer the digital variant and 21% stated that they utilize both formats. The preference for print was also much higher with ages 18 to 35 year-olds with 62%, which accounted for 75% of the respondents. Contrary to what most would expect, the younger and supposedly tech-savvy students are not all that into e-textbooks. The survey also reveals that Education and Library & Information Science students, representing 49% of the total respondents, used printed textbooks more than other majors, including Business and Science. In 2011, Tim Peterson was your archetypal frustrated academic. He’d just landed a paper in the journal Cell but had grown disillusioned with the publishing process after nine months of back-and-forth among his team, the reviewers, and the editors. So Mr. Peterson began to think. Then he taught himself to code. And finally, on May 14, all that thinking and coding converged to form a website, Onarbor. The site is intended as a publishing and funding platform for academics, kind of like a Kickstarter for scholarly work. Among its features is that it allows donors to support projects with either Bitcoin or Dogecoin, two popular cryptocurrencies. A journal’s editorial board has been left on the brink of resignation after an eight-month standoff with its publisher Taylor & Francis over the publication of a debate on academic publishing and the profits made by major firms. The debate, in the journal Prometheus: Critical Studies in Innovation, was due to appear last September, but was delayed by Taylor & Francis and published only at the end of last month. Its “proposition” paper, “Publisher, be damned! from price gouging to the open road”, by four academics from the University of Leicester’s School of Management, criticises the large profits made by commercial publishers on the back of academics’ labours, and the failure of the Finch report on open access to address them. The paper compares academic publishing with the music industry, which, it says, has “booming” sales after lowering prices in the face of widespread piracy. It suggests that “doing nothing to prevent the trading of electronic copies of our academic work” could also force prices down in publishing. EFF has been fighting for years for the principle that if you bought it, you own it. The first sale doctrine – the law that allows you to resell books and that protects libraries from claims of copyright infringement – is crucial to consumers. Unfortunately, first sale has been under threat in the digital realm, as copyright holders increasingly insist on saddling “sales” with onerous restrictions. You may think you are buying a product (like software, music and ebooks), but as far as they are concerned, you are just renting it, on their terms, whether you know it or not. The latest attack on first sale comes from Aspen Publishers, and the target is the lucrative textbook market. Aspen is insisting that students who are assigned and purchase physical textbooks Aspen published cannot resell those books to recoup some of the expense. What impact did Hans Christian Andersen have on children’s literature? An extract from the Oxford Encyclopedia of Children’s Literature, available on Oxford Reference. Although Andersen considered himself a novelist and playwright, his novels, dramas, and comedies are almost forgotten today, while his unquestionable fame is based on his fairy tales. He published four collections: Eventyr, fortalte for børn (Fairy Tales, Told for Children, 1835–1842), Nye eventyr (New Fairy Tales, 1844–1848), Historier (Stories, 1852–1855), and Nye eventyr og historier (New Fairy Tales and Stories, 1858–1872), which were an immediate, unprecedented success and were translated into many languages during his lifetime. Yet only a handful of his fairy tales and stories are widely read today. Although Andersen could have read Grimms’ fairy tales, the sources of his stories were mostly Danish folk tales, collected and retold by his immediate predecessors J. M. Thiele, Adam Oehlenschlæger, and Bernhard Ingemann. Unlike the collectors, whose aim was to preserve and sometimes to classify and study folktales, Andersen was primarily a writer, and his objective was to create new literary works based on folklore, although some of his fairy tales have their origins in ancient poetry (“The Naughty Boy”) or medieval European literature (“The Emperor’s New Clothes”). He also found inspiration in the literary fairy tales by the German Romantics such as Heinrich Hoffmann and Adelbert von Chamisso. Pavan’s favourite activity is playing football outdoors. His second favourite is playing football indoors, and in third place is practising football skills against the sofa. Reading – the pursuit that Francis Bacon claimed “maketh a full man” – comes further down the eight-year-old’s list, behind school, going to discos, buying stuff, chatting to people, watching TV and playing on his Xbox games console. Would he ever pick up a book for pleasure? “No,” Pavan shoots back jovially. “If I’m bored, I will ask my mum if I can play on her phone.” By this point, I am relieved that Michael Gove is not part of our conversation at a homework club in Harlesden Library, north London. The UK education secretary has long feared that British children are “just not reading enough”. The same concern has been raised by publishers and literacy charities, which worry that new distractions – computer games, online videos, social networking – are pushing books off the shelf. More than 60 per cent of 18-to-30-year-olds now prefer watching television or DVDs to reading, according to a survey for the charity Booktrust. A similar proportion of young people think the internet and computers will replace books in the next 20 years. Before social media platforms became the most public chronicles of teenage angst, that honour belonged to The Catcher in the Rye. Statistics are often used to reveal significant differences between online and campus-based education. The existence of online courses with low completion rates is often used to justify the inherent inferiority of online education compared to traditional classroom teaching. Our study revealed that this type of conclusion has little substance. We have performed three closely linked analyses of empirical data from Linnaeus University aimed at reaching a better understanding of completion rates. Differences in completion rates revealed themselves to be more substantial between faculties than between distribution forms. The key-factor lies in design. Courses with the highest completion rates had three things in common; active discussion forums, complementing media and collaborative activities. We believe that the time has come to move away from theoretical models of learning where web-based learning/distance learning/e-learning are seen as simply emphasizing the separation of teacher and students. Low completion rates should instead be addressed as a lack of insight and respect for the consequences of online pedagogical practice and its prerequisites. Changes in our environment can actually transform the relation between our traits and the outside world. We all notice that some people are smarter than others. You might naturally wonder how much these differences in intelligence depend on genes or upbringing. But that question, it turns out, is impossible to answer. That’s because changes in our environment can actually transform the relationship among our traits, our upbringing and our genes. The textbook illustration of this is a dreadful disease called PKU. Some babies have a genetic mutation that makes them unable to process an amino acid in their food, and it leads to severe mental retardation. For centuries, PKU was incurable. Genetics determined whether someone suffered from the syndrome, which gave them a low IQ. Then scientists discovered how PKU works. Now, we can immediately put babies with the mutation on a special diet. Whether a baby with PKU has a low IQ is now determined by the food they eat–by their environment. We humans can figure out how our environment works and act to change it, as we did with PKU. So if you’re trying to measure the relative influence of human nature and nurture, you have to consider not just the current environment but also all the possible environments that we can create. This doesn’t just apply to obscure diseases. In the latest issue of Psychological Science, Timothy C. Bates of the University of Edinburgh and colleagues report a study of the relationship among genes, SES (socio-economic status, or how rich and educated you are) and IQ. They used statistics to analyze the differences between identical twins, who share all DNA, and fraternal twins, who share only some. When psychologists first started studying twins, they found identical twins much more likely to have similar IQs than fraternal ones. They concluded that IQ was highly “heritable”–that is, due to genetic differences. But those were all high SES twins. Erik Turkheimer of the University of Virginia and his colleagues discovered that the picture was very different for poor, low-SES twins. For these children, there was very little difference between identical and fraternal twins: IQ was hardly heritable at all. Differences in the environment, like whether you lucked out with a good teacher, seemed to be much more important. In the new study, the Bates team found this was even true when those children grew up. IQ was much less heritable for people who had grown up poor. This might seem paradoxical: After all, your DNA stays the same no matter how you are raised. The explanation is that IQ is influenced by education. Historically, absolute IQ scores have risen substantially as we’ve changed our environment so that more people go to school longer. Richer children have similarly good educational opportunities, so genetic differences among them become more apparent. And since richer children have more educational choice, they (or their parents) can choose environments that accentuate and amplify their particular skills. A child who has genetic abilities that make her just slightly better at math may be more likely to take a math class, so she becomes even better at math. But for poor children, haphazard differences in educational opportunity swamp genetic differences. Ending up in a terrible school or one a bit better can make a big difference. And poor children have fewer opportunities to tailor their education to their particular strengths. How your genes shape your intelligence depends on whether you live in a world with no schooling at all, a world where you need good luck to get a good education or a world with rich educational possibilities. If we could change the world for the PKU babies, we can change it for the next generation of poor children, too. Earlier this week, I spotted, among the job listings in the newspaper Reforma, an ad from a restaurant in Mexico City looking to hire dishwashers. The requirement: a secondary school diploma. Years ago, school was not for everyone. Classrooms were places for discipline, study. Teachers were respected figures. Parents actually gave them permission to punish their children by slapping them or tugging their ears. But at least in those days, schools aimed to offer a more dignified life. Nowadays more children attend school than ever before, but they learn much less. They learn almost nothing. The proportion of the Mexican population that is literate is going up, but in absolute numbers, there are more illiterate people in Mexico now than there were 12 years ago. Even if baseline literacy, the ability to read a street sign or news bulletin, is rising, the practice of reading an actual book is not. Once a reasonably well-educated country, Mexico took the penultimate spot, out of 108 countries, in a Unesco assessment of reading habits a few years ago. This is not just about better funding. Mexico spends more than 5 percent of its gross domestic product on education — about the same percentage as the United States. And it’s not about pedagogical theories and new techniques that look for shortcuts. The educational machine does not need fine-tuning; it needs a complete change of direction. It needs to make students read, read and read. But perhaps the Mexican government is not ready for its people to be truly educated. We know that books give people ambitions, expectations, a sense of dignity. If tomorrow we were to wake up as educated as the Finnish people, the streets would be filled with indignant citizens and our frightened government would be asking itself where these people got more than a dishwasher’s training. Peer reviews of conference paper submissions is an integral part of the research cycle, though it has unknown origins. For the computer vision community, this process has become significantly more difficult in recent years due to the volume of submissions. For example, the number of submissions to the CVPR conference has tripled in the last ten years. For this reason, the community has been forced to reach out to a less than ideal pool of reviewers, which unfortunately includes uninformed junior graduate students, disgruntled senior graduate students, and tenured faculty. In this work we take the simple intuition that the quality of a paper can be estimated by merely glancing through the general layout, and use this intuition to build a system that employs basic computer vision techniques to predict if the paper should be accepted or rejected. This system can then be used as a first cascade layer during the review pro- cess. Our results show that while rejecting 15% of “good papers”, we can cut down the number of “bad papers” by more than 50%, saving valuable time of reviewers. Finally, we fed this very paper into our system and are happy to report that it received a posterior probability of 88.4% of being “good”. But soon, introductory physics texts will have a new competitor, developed at Rice University. A free online physics book, peer-reviewed and designed to compete with major publishers’ offerings, will debut next month through the non-profit publisher OpenStax College. Books, Community Partners, Curriculum, Curriculum - Languages, What Can I Do? Research supports parental involvement as a viable means of enhancing children’s academic success. Once again, Michelle Belnavis, a cultural relevance instructional resource teacher (K-5) for MMSD, has organized an event that brings African American community leaders, families, staff, students, and neighborhood organizations together to provide inspiration and information to schools and neighborhoods in honor of National African American Parent Involvement Day. SOMETIMES it takes but a single pebble to start an avalanche. On January 21st Timothy Gowers, a mathematician at Cambridge University, wrote a blog post outlining the reasons for his longstanding boycott of research journals published by Elsevier. This firm, which is based in the Netherlands, owns more than 2,000 journals, including such top-ranking titles as Cell and the Lancet. However Dr Gowers, who won the Fields medal, mathematics’s equivalent of a Nobel prize, in 1998, is not happy with it, and he hoped his post might embolden others to do something similar. It did. More than 2,700 researchers from around the world have so far signed an online pledge set up by Tyler Neylon, a fellow-mathematician who was inspired by Dr Gowers’s post, promising not to submit their work to Elsevier’s journals, or to referee or edit papers appearing in them. That number seems, to borrow a mathematical term, to be growing exponentially. If it really takes off, established academic publishers might find they have a revolution on their hands. Are hardbound textbooks going the way of slide rules and typewriters in schools? D.C. is ranked the most literate city in the U.S.
For the second consecutive year, Washington, D.C. , is ranked as the most literate city in the country, according to an annual statistical survey to be released today. MG Siegler in his latest TechCrunch article posits that although Apple’s new iBooks strategy is admirable in its effort to fix problems in public high schools, that it’s not realistic and that their market strategy should revolve around colleges and college textbooks. On the surface, which seems logical enough, his argument is sound. But It ignores the one, HUGE driving force in education: money. Nearly all high schools are public, or receive public funding in one way or another and help to satisfy the law which states that students of high school age must attend school. Textbooks are merely a means of teaching these students topics which help these schools qualify for their funding. Absent the glamour of the black mock turtleneck, Apple’s Thursday event, held at the Guggenheim Museum in New York, still came bearing flowers of rhetoric, lovingly transplanted from their native soil in Cupertino’s sunny clime. One such rhetorical staple, the feature checklist, made its appearance about nine minutes in. Usually, the checklist is used to contrast Apple’s latest magical object with the feature set of lesser smartphones or other misbegotten tech tchotchkes; it was more than a little eye-popping to see the same rhetoric of invidious comparison used against the book in full — that gadget which, as senior VP Phil Schiller reminded us, was invented (in its print incarnation) back at the end of the Hundred Years’ War. Apple’s controversial license terms are discussed here. Apple is slated to announce the fruits of its labor on improving the use of technology in education at its special media event on Thursday, January 19. While speculation has so far centered on digital textbooks, sources close to the matter have confirmed to Ars that Apple will announce tools to help create interactive e-books–the “GarageBand for e-books,” so to speak–and expand its current platform to distribute them to iPhone and iPad users. What inspired you to start The Concord Review? Diane Ravitch, an American historian of education, wrote a col- umn in The New York Times in 1985 about the ignorance of his- tory among 17-year-olds in the United States, based on a study of 7,000 students. As a history teacher myself at the time, I was interested to see that what concerned me was a national problem, and I began to think about these issues. It occurred to me that if I had one or two very good students writing his- tory papers for me and perhaps my colleagues had one or two, then in 20,000 United States high schools (and more overseas) there must be a large number of high school students doing exemplary history research papers. So in1987, I established The Concord Review to provide a journal for such good work in his- tory. I sent a four-page brochure calling for papers to every high school in the United States, 3,500 high schools in Canada, and 1,500 schools overseas. The papers started coming in, and in the fall of 1988, I was able to publish the first issue of The Concord Review. Since then, we have published 89 issues. 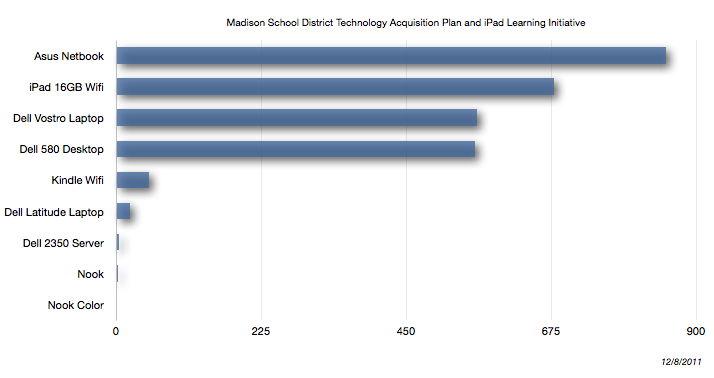 Madison Metropolitan School District was provided an award from the Microsoft Cy Pres settlement in the Fall of 2009. Since that time the district has utilized many of these funds to prorate projects across the district in order to free up budgeted funds and to provide for more flexibility. The plan and process for these funds liquidates the General Purpose portion of the Microsoft Cy Pres funds, provides an equitable allocation per pupil to each school, and is aimed at increasing the amount of technology within our schools. The total allocation remaining from Cy Pres revenues totals $2,755,463.11, which was the target for the technology acquisition plan. Two things happened prior to allocating funds to schools: first was to hold back $442,000 for the future purchase of iPads for our schools (at $479 per iPad this equates to a 923 iPads), and second was to hold back $200,000 necessary for increased server capacity to deal with the increase in different types of technology. The final step was to allocate the remaining funding ($2,113,463.11) out to the schools on a per pupil basis. This was calculated at $85.09 per pupil across all schools within the district. I found the device distribution to be quite interesting. 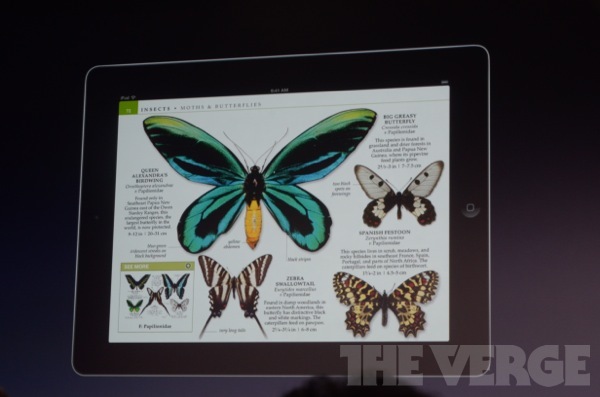 The iPad revolution is well underway. Technology’s role in schools continues to be a worthwhile discussion topic. Fellow members of the Electronic Educational Entertainment Association. My remarks will be brief, as I realize you all have texts to read, messages to tweet, and you will of course want to take photos of those around you to post on your blog. I only want to remind you that the book is our enemy. Every minute a student spends reading a book is time taken away from purchasing and using the software and hardware the sale of which we depend on for our livelihoods. You should keep in mind the story C.S. Lewis told of Wormwood, the sales rep for his uncle Screwtape, a district manager Below, who was panicked when his target client joined a church. What was he to do? Did this mean a lost account? Screwtape reassured him with a story from his own early days. One of his accounts went into a library, and Screwtape was not worried, but then the client picked up a book and began reading. However, then he began to think! And, in an instant, the Enemy Above was at his elbow. But Screwtape did not panic–fortunately it was lunchtime, and he managed to get his prospect up and at the door of the library. There was traffic and busyiness, and the client thought to himself, “This is real life!” And Screwtape was able to close the account. In the early days, Progressive Educators would sometimes say to students, in effect, “step away from those books and no one gets hurt!” because they wanted students to put down their books, go out, work for social justice, and otherwise take part in “real life” rather than get into those dangerous books and start thinking for themselves, for goodness’ sake! But now we have more effective means of keeping our children in school and at home away from those books. We have Grand Theft Auto and hundreds of other games for them to play at escaping all moral codes. We have smartphones, with which they can while away the hours and the days texting and talking about themselves with their friends. We even have “educational software” and lots of gear, like video recorders, so that students can maintain their focus on themselves, and stay away from the risks posed by books, which could very possibly lead them to think about something besides themselves. And remember, people who read books and think about something besides themselves do not make good customers. And more than anything, we want and need good customers, young people who buy our hardware and software, and who can be encouraged to stay away from the books in libraries, which are not only free, for goodness’s sake, but may even lead them to think. And that will be no help at all to our bottom line. Andrew Carnegie may have been a philanthropist, but by providing free libraries he did nothing to help us sell electronic entertainment products. We must never let down our guard or reduce our advertising. Just remember every young person reading a book is a lost customer! Verbum Sap. Sometimes you find yourself part of a trend accidentally: Some old, beloved jacket in your closet becomes fashionable, or your private, favorite novel is discovered by the world. Having written four books of fiction for adults, I wrote a novel for kids, and looked up from the first draft to find that other writers were doing the same thing–and adults were reading the books. 1. Don’t worry about what category the book belongs in. I thought I was writing a young adult novel and discovered that there was a type of book called “middle reader” only when my publishers told me I’d written one. I worked in a state of utter naïveté about what the rules are for writing children’s books, which was liberating. The Royal Society continues to support scientific discovery by allowing free access to more than 250 years of leading research. The first edition of this book appeared in 1946. Eight translations were made of it, and there were numerous paperback editions. In a paperback of 1961, a new chapter was added on rent control, which had not been specifically considered in the first edition apart from government price-fixing in general. A few statistics and illustrative references were brought up to date. Otherwise no changes were made until now. The chief reason was that they were not thought necessary. My book was written to emphasize general economic principles, and the penalties of ignoring them-not the harm done by any specific piece of legislation. While my illustrations were based mainly on American experience, the kind of government interventions I deplored had become so internationalized that I seemed to many foreign readers to be particularly describing the economic policies of their own countries. Nevertheless, the passage of thirty-two years now seems to me to call for extensive revision. In addition to bringing all illustrations and statistics up to date, I have written an entirely new chapter on rent control; the 1961 discussion now seems inadequate. And I have added a new final chapter, “The Lesson After Thirty Years,” to show why that lesson is today more desperately needed than ever. Imagine a university where programs are tailored to the needs of each student, the best professors are available to everyone, curriculum is relevant to the workplace – and the value of the education is demonstrable. In Change.edu, Andrew S. Rosen shows how that future is possible but in danger of being stifled by a system of incentives that emphasize prestige and tradition, rather than access and outcomes. The U.S. higher education system has historically been considered one of the best in the world. This thought-provoking story presents the imperative for transforming that system for the 21st century and beyond. Rosen takes on the sacred cows of traditional higher education models, and calls on the country to demand the changes we need to build a qualified workforce and compete in a global economy. Change.edu is sure to open minds — and open doors to a wealth of opportunities. Seventh-grade history teacher Mark Stevens bellowed a set of 21st-century instructions as students streamed into class one recent Friday at Fairfax County’s Glasgow Middle School. Electronic books, having changed the way many people read for pleasure, are now seeping into schools. Starting this fall, almost all Fairfax middle and high school students began using online books in social studies, jettisoning the tomes that have weighed down backpacks for decades. It is the Washington area’s most extensive foray into online textbooks, putting Fairfax at the leading edge of a digital movement that publishers and educators say inevitably will sweep schools nationwide. Business schools are under the microscope again, their relevance and value questioned in many quarters. The financial crisis has triggered a self-examination of their raison d’etre. However, before we can decide whether and how business schools need to change, it is worth pausing to consider how and why business schools have evolved as they have. A new book, “The Roots, Rituals and Rhetorics of Change: North American Business Schools After the Second World War,” describes the revolution in business education that took place in the 1950s and 1960s. The book was published by Stanford University Press. In honor of the National Book Festival, running Sept. 24 – 25 on the National Mall, we asked some of the authors participating to share their thoughts on a few writerly subjects. What do writers think about writing? Here’s a small selection of what they had to say. THE THING I’M HAPPIEST ABOUT IN MY WRITING CAREER IS . . .
That rarest of occurrences: being able to finance my writing life with the writing itself. The sound of my father’s voice on the telephone when I told him that I had been awarded the Pulitzer Prize. That the book, “Thomas and Beulah,” dealt with my home town and was about my maternal grandparents made the announcement that much sweeter. When I read “Library Limbo,” a news story about library staff members being laid off the University of San Diego, I had to resist adding a comment because I needed what preschools sometimes call a “time out.” My first responses were strong, but not measured, and in stories like this there are always layers of complexity that the best journalist in the world cannot represent. Rarely are personnel decisions of any kind easy to describe, and some of the key information is usually not publicly available. Often what is described as the elimination of a position becomes suddenly not discussable because it’s a personnel matter. A personnel matter that can’t be discussed is not about a change in a position but about the performance of the person in the position, which is a different . . . hang on, I apparently need to go sit quietly in the corner for a few more minutes . . . Okay. So let’s not talk about that particular situation at the University of San Diego because I don’t know enough about it to comment meaningfully. Instead I want to propose a few general things about libraries, change, and organizations. Just as many predicted, sales figures show that more people are opting to buy e-books rather than printed copies. Sales of e-books rose 167 percent in June, reports Publishers Weekly, with sales totaling $473.8 million for the first half of the year. But sales of print books — both paperbacks and hardcovers — continue to decline. It isn’t just publishers that are scrambling to adjust their business models to the growing demand for e-books; so too are libraries having to reconsider how they will provide content for their patrons. Even though there’s keen interest on the part of library patrons to check out e-books, making a move to digital loans is not going to be easy. That’s true for all libraries, but it’s especially true for school libraries, many of which already face budget woes, and as such, have to weigh carefully how to invest in new books to stock the shelves. THOMAS NAGEL, an American philosopher, wants to know what it is like for a bat to be a bat. Ian Anderson, a Scot who performs with the band Jethro Tull, sang of a slightly less intractable difficulty: “wise men don’t know how it feels to be thick as a brick.” In “School Blues” Daniel Pennac, a prize-winning French writer, describes what faces a school dunce when the teacher before him cannot recall what it felt like to be ignorant. Mr Pennac was once such a child (he uses the French cancre, as in Cancer, the crab: a creature that scuttles sideways instead of advancing forwards). But despite becoming a teacher, he can remember what it was like not to understand lessons. The voices in his head remind him of it. They taunt him throughout his semi-autobiographical novel, which partially traces his sorry academic career as the child of high-achieving parents whose three older brothers excelled at school. Luckily for him, his parents did not let him flee the system but instead persisted in finding a teacher who would help him to succeed. The breakthrough came aged 14 when his latest tutor–“no doubt amazed by my increasingly inventive excuses as to why I hadn’t done my homework”–commissioned him to write essays and then a novel. Evolution: How We and All Living Things Came to Be took home the national Lane Anderson Award as the best Canadian science book for young readers at an award dinner in Toronto last night. The win was reported today by the National Post, the Vancouver Sun, Quill & Quire, the Canadian Children’s Book Center and other media. It was published by Canadian publisher Kids Can Press. But it’s not for lack of trying that a Canadian publisher rather than American publisher issued this book. According to author Daniel Loxton, US publishers wouldn’t touch it. “It’s important to realize that most of the publishing professionals I dealt with in the US were lovely and encouraging. They all said “no,” but some recommended smaller, artier presses they felt might consider Evolution…. [S]ome of America’s top children’s publishing professionals rejected Evolution, some citing concerns that it was too controversial, too much of “a tough sell,” or (“in today’s climate”) too likely to find needed distribution channels closed…. It was certainly frustrating to knock on cold doors, but I am sympathetic to publishers. [I]t’s a tough time for book producers, and they need to work hard to mitigate risk. Publishers face the on the ground reality that almost half of American adults–many of them reviewers, librarians, booksellers, or teachers–believe that evolution did not happen at all. why do people still buy books? there’s been a lot going on recently with books. i’ve been watching eric ries and i’m blown away by how successful he’s been at promoting his book the lean startup. i saw that @dharmesh wrote about it at onstartups.com, and tweeting out small agreeable little tidbits from the book is genius–i don’t know whether this was intentional or not, but that’s an awesome idea. i met noah kagan last friday to catch up over drinks at showdown in sf, and i met someone interesting there: laura roeder. i usually meet people who claim to be “social media experts” (as every hacker reading this rolls their eyes) but this woman actually had a significant following and presence on twitter and facebook, and not one of those fake “follow me and i’ll auto-follow you back” type of things. i dropped in on a small video conference she was doing today corresponding to her book launch, which i had not realized she was working on (for some reason, she didn’t mention it when we met, even though i had mentioned startups open sourced was paying my rent at this point). Nature Publishing Group, which publishes several highly regarded scientific journals and textbooks, was founded in England in 1869, eight years before electric lights illuminated the streets of London. Now, 140 years later, with the help of Harvard Classics scholar Vikram Savkar, the company is beginning to disrupt the traditional textbook model that it helped to create. This month at California State University, the company released Principles of Biology, an interactive, constantly updating biology textbook that retails for less than $50. Like most digital textbooks, the software is accessible on laptops and tablets, but unlike most digital textbooks, it’s not just a scan of a .pdf. The company calls it a “digital reinvention of the textbook,” meaning that students can interact with the material; they can literally match amino acids and corresponding DNA with their fingers. Inc.com’s Eric Markowitz spoke with Vikram Savkar about what it takes to create a culture of innovation in an old-school company. A group of business and philanthropic leaders appointed by Governor Dannel P. Malloy presented their education reform proposals to the state Board of Education Wednesday, pitching changes to teacher certification requirements, preparation programs and evaluations to help close Connecticut’s dramatic achievement gap. Members of the Connecticut Council on Education Reform said they considered the timing appropriate, coming as Malloy introduced his new education commissioner and reiterated that education will be a priority in next year’s legislative session. While they say that all politics is local, Colorado seems to be national news, yet again. Our state is featured prominently in Steven Brill’s new book, Class Warfare, which is receiving a lot of press from national news outlets. Weaving a narrative around the passage of Senate Bill 10-191 in Colorado, Brill tells a good story, replete with heroic figures like Senator Mike Johnston. I worked closely on SB 191 from its inception to passage, I can tell you that the on the ground details of its success are even more interesting than what’s depicted in Brill’s account. Please see DFER’s case study on SB 191 here for a close examination of the strategy, the broad coalition, and the bipartisan champions that helped make SB 191 a reality. Without the active support of the sophisticated coalition of political leaders on both sides of the aisle, including House sponsors Rep. Christine Scanlan and Rep. Carole Murray, non-profit organizations such as Stand for Children Colorado, civil rights groups, and business leaders that worked with the media, spoke with legislators, and reached out to their communities, the bill would not have passed. For further reading, Van Schoales, a DFER-CO Advisory Committee member, has written a review of Class Warfare: available here. Nicolaus Copernicus, the man credited with turning our perception of the cosmos inside out, was born in the city of Torun, part of “Old Prussia” in the Kingdom of Poland, at 4:48 on Friday afternoon, February 19 1473. By the time his horoscope for that auspicious moment was created – at the end of the astronomer’s life – his contemporaries already knew that he had fathered an alternative universe: that he had defied common sense and received wisdom to place the Sun at the centre of the heavens, then set the Earth in motion around it. Copernicus grew up Niklas Koppernigk, the second son and youngest of four children of a merchant family. He was raised in Torun, in a tall brick house that is now a museum to the memory of the town’s famous son. From here, he and his brother, Andrei, could walk to classes at the parish school of St. John’s Church or to the family warehouse near the river Vistula. When Niklas was 10, his father died, and he and his siblings came under the care of their maternal uncle, Lukasz Watzenrode, a minor cleric, or “canon”, in a nearby diocese. He arranged a marriage contract for one niece and consigned the other to a convent, but his nephews he supported at school, until they were ready to attend his alma mater, the Jagiellonian University in Krakow. By then, Uncle Lukasz had risen to become Bishop of Varmia. For many students and their families, scraping together the money to pay for college is a big enough hurdle on its own. But a new survey has found that, once on a campus, many students are unwilling or unable to come up with more money to buy books–one of the very things that helps turn tuition dollars into academic success. In the survey, released on Tuesday by the U.S. Public Interest Research Group, a nonprofit consumer-advocacy organization, seven in 10 college students said they had not purchased a textbook at least once because they had found the price too high. Many more respondents said they had purchased a book whose price was driven up by common textbook-publishing practices, such as frequent new editions or bundling with other products. If you’re looking for a textbook example of technology obstruction by the media industry, look no further than e-textbooks. That’s sad news for students headed back to college this fall. IPads, Kindles and even HP’s doomed TouchPad tablet are literally flying off the shelves, and many students wouldn’t be caught dead on campus without one. Meanwhile, e-textbook sales at the nation’s universities are stuck in single digits, with little hope of escape before 2013. According to Simba Information , in the next two years e-textbook revenue will reach just $585.4 million and account for just over 11 percent of all higher education and career-oriented textbook sales — a notable but not yet predominant force in the marketplace. Textbook pirates have struck again. Nearly three years after publishers shut down a large Web site devoted to illegally trading e-textbooks, a copycat site has sprung up–with its leaders arguing that it is operating overseas in a way that will be more difficult to stop. The new site, LibraryPirate, quietly started operating last year, but it began a public-relations blitz last week, sending letters to the editor to several news sites, including The Chronicle, in which it called on students to make digital scans of their printed textbooks and post them to the site for free online. Such online trading violates copyright law, but some people have apparently been adding pirated versions of e-textbooks to the site’s directory. The site now boasts 1,700 textbooks, organized and searchable. Downloading the textbooks requires a peer-to-peer system called BitTorrent, and the LibraryPirate site hosts a step-by-step guide to using it. Apply. Visit campus. Complete the financial aid form. Get four years of free textbooks. First-year University of Dayton students can receive up to $4,000 over four years for textbooks by completing three steps of the fall 2012 application process by March 1. “We want to help parents and students understand that from the very first day, a University of Dayton education is very rewarding,” said Kathy McEuen Harmon, assistant vice president and dean of admission and financial aid. “Through this initiative, we want to underscore that a University of Dayton education is affordable and we are committed to helping families in very tangible ways,” she said. With the economy still difficult, Harmon said the free textbook program will bring families clarity and certainty about one piece of the financial puzzle. Leadership in any organization comes from the top. No, the superintendent is not “the top” of a school district organization. The top spot is held by the School Board, seven elected individuals who work together to implement policies and practices to meet the changing needs of students and families, all within the limited resources, financial and otherwise, that are available. I have been fortunate during my first two years as superintendent to work with a dedicated and hard-working School Board. Being a board member requires the commitment of endless hours of time and effort, and is frequently somewhat thankless as there are very few decisions made in a large school district that will be welcomed by all. The service and support of our current board is appreciated. Recently the School Board met in a retreat to review the best practices of high-performing boards and evaluate what changes they can implement to improve not only the functioning of the School Board, but ultimately the effectiveness and efficiency of the school district. I commend our board for this undertaking as it is a great modeling and example of the culture we are seeking to develop in the South Washington County Schools of continuous improvement and performance excellence. While the School Board generally functions very well, there is always room for improvement and this board is committed to such evaluation, assessment and improvement of their performance. Akademos, Inc., a leading provider of integrated online bookstores and marketplaces to educational institutions, announced today that it has launched a digital reader that will allow its member institutions to access electronic content from traditional publishers and from open resources, such as the Connexions Consortium, World Public Library, the Guttenberg Project, and many others. The company also announced its first major Open Educational Resources (OER) partnership with publisher Flat World Knowledge, which is providing the company with its full catalog of over 40 high-quality textbooks covering major subject areas for introductory general education colleges courses. WHEN school textbooks make the headlines in East Asia, they are usually cast as bystanders to some intractable old dispute, and related demands that children be taught “correct” history. Thankfully though, future-minded officials in South Korea have given cause for this correspondent to write about something altogether different: by 2015, all of the country’s dead-tree textbooks will be phased out, in favour of learning materials carried on tablet computers and other devices. The cost of setting up the network will be $2.1 billion. It is hoped that cutting out printing costs will go some way towards compensating for this expenditure. Environmentalists will of course be pleased, regardless. A cloud network will be set up to host digital copies of all existing textbooks, and to give students the (possibly unwelcome) ability to access materials at any time, via iPads, smartphones, netbooks, and even Stone-Age PCs. Kids will need to come up with a new range of excuses for not doing their homework: the family dog cannot be blamed for eating a computer, nor can a file hosted on a cloud network be left behind on a bus. Alice Wong considered herself an avid reader, but it didn’t occur to her that she might have to learn how to read to her two young children. She was even less aware that courses were available to teach this skill. “I never used to understand the power of reading,” says Wong, who has a four-year-old son and a two-year-old daughter. In today’s Academic Minute, the University of North Florida’s Katie Monnin describes how the use of graphic novels in the classroom can improve reading comprehension and attitudes about reading among young readers. Monnin is an assistant professor of literacy at North Florida and author of the forthcoming Really Reading with Graphic Novels and Teaching Content Area Graphic Novels.